Fextralife produced a video to help newcomers to The Bard's Tale IV: Barrows Deep. A small tip for anyone who likes to quickly click past things to make the game load quicker: when you load a game from the main menu, it goes to the Bard and his listeners. Your first instinct might be that he's going to repeat what he said at the start of the game. However, what the Bard says doesn't remain the same - he changes his lines depending on where you are in the story. Tip from me, invest in Soul Leech with Practitioners. Critical hits restore spell points instantly which could lead to chains of extra attacks at no cost to you. Mhmkay, the question that remains is how to boost critical chance %. 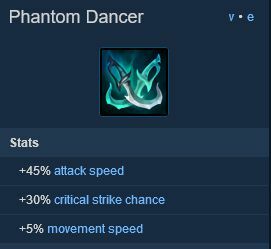 If it was League of Legends, I'd build myself a nice and shiny phantom dancer. How to boost critchance in bt4? I noticed that while playing and thought it was a great touch. I also can't help but think of Peter Dinklage when looking at one of the characters on that screen though. So i take it most of you think the game is better than the steam reviews suggest ? I certainly do…. No opinion more interested in Pathfinder:Kingmaker & INSOMNIA: The Ark released later this month. I also have plenty of games to finish. So I'll buy and finish this game in 2020. So i take it most of you think the game is better than the steam reviews suggest? See you didn't say only those who played the game. So for those who are playing this i take it most of you think the game is better than the steam reviews suggest? I certainly do…. So you are a lawyer in rl ? Crit chance is mostly boosted by passive skills, which then increases the crit chance of specific weapon skills (e.g., all sword skills). What matters then is only the skill, not what actual weapon you use. So if you use a sword skill with an axe weapon, the crit chance of the sword skill should apply. You can not stack crit chance from different weapon types. Also, the weapon skill types impact the amount of skill chance you can get, and the type of critical effect. Axe skills seem to get a very high crit chance, but their critical effect seems (to me) less interesting than the others (bleeding effect). I think this is the most powerful weapons I found so far. And you can even get it quite early. Especially once you have the passives that refund opportunity points and reset cooldowns on crit, this weapon is pure awesomeness. There are weapons that add more strength, hence damage, but they can't really beat the utility of this crit chance increase. Rough guide to get it: Explore Kylearan's tower, where you meet the mage Alguin. One chest has a bunch of recipes that allow you to craft different puzzle weapons using 4 "Elven Weapon Shards" (Yellowish gems you can find. Not too many of them.). I think the chest is in a secret room kind of close to the end, before reaching the elevator. One of the craftable weapons is the great sword I discussed above. I dont know whether the other crafted weapons get the same effects from solving the puzzle. Or if they are overpowered in different ways. Nope sorry I was a Warehouse Manager for a large Retailer. Me too. Many of the negative reviews actually make valid points, though. I just disagree with the overall evaluation. The game's got me hooked. According to some watchmembers he was a troll. I don't know If he RECEDED BACK to "lawyer" or EVOLVED into "warehouse manager"
I only played an hour's worth a few days ago, and now that the first serious patch has landed, I might play a bit more this week. So far I've been pleased with what I've seen of the game. I think it's way better. My personal RPGOTY. Granted I haven't played a lot of 2018 games, but I'm enjoying the heck out of it so far. It's better than I expected, too, which was a nice surprise. I'm wondering if it's a bit of a sales disaster. The Steam stats are only showing a couple of thousand peak players, it's outside the top 100 on Steam, and it's not very high up on GOG either. Could be misleading at this early stage of release, but the low peak player numbers look pretty grim. I do think it will be a word of mouth spreader, though. Streamers are liking it apparently, and I think people will start hearing about it soon enough. Maybe I'm being overly optimistic but I do believe it will start to catch on. It's a very good game. I hate current modern rpg sequels with their easy mode, balanced thumbs down, play like world of warcraft hand holding level 1 to level 50 type of RPGs. Nope I'm the man of many faces and personas. Wait I better go take my medication.